Home Essential Is Bitcoin Unstoppable? Because of the decentralized nature of Bitcoin (see blockchain) and other cryptocurrencies, many consider them unstoppable. After all, if we're talking about a system with millions of participants all over the world, then it simply isn't possible to turn off everyone's computer at once to stop Bitcoin's existence, right? As with most questions about cryptocurrency, the answer to this one is – it's complicated. Many see cryptocurrencies as next level torrents – the transfer of data over the BitTorrent protocol. Today, this protocol is, let's be honest, used mainly for exchanging illegal types of data – mostly pirated games and media. In this system, a person with a given file lets others download it from them without an intermediary server. The person downloading the file is called a leecher while the provider of the file is called the seeder. Multiple leechers can download from multiple seeders, so that if one seed disappears the file can still be downloaded from the others. The file remains alive and accessible so long as there is at least one seeder remaining. The only way to completely stop the spreading of a file is destroying all the seeds, but since the files are stored on individual users' computers and the torrent system is global, such an approach of media distribution is seen as unstoppable. Cryptocurrency works in much the same way, as we've already explained in the blockchain post. But while torrents transfer mainly media (books, movies, TV shows, games), cryptocurrency deals in finance – and this is where we're stepping on the toes of some giants much more dangerous than the media conglomerates: the government. There are several ways to stop and/or weaken Bitcoin and other cryptocurrencies. The first approach is deep packet inspection – ISPs checking for easily identifiable Bitcoin protocol traffic, and just outright blocking it or slowing it down to a crawl. All the users who aren't skilled in avoiding these blocks (with the use of tools like Tor or some proxy services) will automatically lose access to the Bitcoin network at large. This is similar to what happened in Turkey at one point – the government simply blocked all social media traffic to stop people from reporting its injustices. Whereas that may not seem like a big problem because the majority of the network will stay operational, one coordinated attack on the level of, for example, all of Europe, would be fatal to the average user who just got into the crypto game. Even worse, all the IP addresses of Bitcoin users are public, so without hiding them via Tor or similar tools the users are susceptible to being tracked down and identified – and as we've seen in the case of Turkey above, even Tor traffic is blockable. More about real anonymity in cryptocurrency in an upcoming post. Furthermore, hiding of Bitcoin traffic with something like Tor is only partially doable. Bitcoin needs the public internet to live – at least a part of it, at least one country needs to stay public with it (unhidden) for the global system to work. This makes another attack vector possible – the government can, once this one actor is identified, just block traffic towards those IPs because they must be public. At this point we basically enter into a race with the government, each trying to outwit the other and bypass the other's methods. Another approach the government can take is making cryptocurrency illegal. Should the government decide that cryptocurrencies are only used only for criminal or terrorist funding (which couldn't be farther from the truth), the politicians and bankers will have gained the ability to declare cryptocurrencies illegal and push them into the underground. The vast majority of technically capable users and enthusiasts will, of course, continue to use them as usual, but again the average user will be kicked from the system he'd barely started to use. Likewise, because transactions in the blockchain can have an arbitrary type of data attached, and the blockchain is immutable (unchangeable) – i.e. its complete history is preserved forever on every computer and cannot be altered, as explained in the blockchain post, it is possible to send along information that's deemed illegal in certain countries – pedophilia, pirated material, government secrets… This would make the medium containing this illegal information (the blockchain itself) illegal to use. Indeed, the Bitcoin blockchain already contains an impressive amount of random oddities – from Nelson Mandela's picture and prayers to Valentine's Day messages – more info about that can be found here. Right now, the mining of Bitcoin takes an enormous amount of electricity. If the price of electricity rises on the national level or a type of electric spending is blocked (even now there are devices which can identify the types of electric spenders in a grid), mining will become financially unviable at best, and impossible at worst. While some cryptocurrencies are moving to another type of mining which doesn't require as much electricity, Bitcoin is determined to proceed with this wasteful type of mining indefinitely, and that's its weak point. Any instability in the national electric grid can seriously disrupt Bitcoin mining there. Admittedly, all three scenarios give the government too much credit. We're assuming the government has way more imagination, ambition, and competence than is really the case. 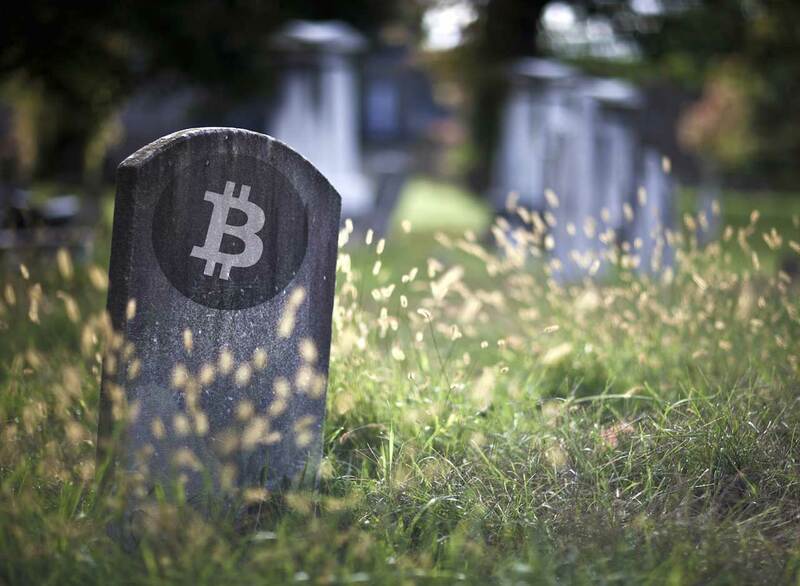 The real killer would be an attack of all three types at once deployed across a very large area – like Europe – but this isn't exactly possible since most technologically advanced countries have already accepted Bitcoin in a big way: Zug in Switzerland is known as cryptovalley – a heaven for blockchain-based companies, while Australia accepted Bitcoin as untaxable currency. Such an attack would seriously harm a big number of revolutionary and innovative industries already, let alone in the future. Bitcoin is not unstoppable, but isn't easy to stop either. While we're all glad to finally be fighting the banks and falsely imposed perceptions of value, we have to stay real and keep in mind that we've been operating with relative freedom only because the government so far has let us – in some countries due to the technological slowness (Croatia), in others because the advantages of blockchain technology are obvious. What's needed to truly win and make cryptocurrency unstoppable, is widespread adoption and mainstreamiziation. Only once cryptocurrencies have become irreplaceable will they have become unstoppable.